FARGO, N.D. (May 19, 2017) – Contractors for the 32nd Avenue reconstruction and I-29 bridge widening project plan to shift traffic tomorrow, Saturday, May 20, on the west end of the work zone where they have already completed a majority of work on the north side lanes. Crews will begin setting up traffic control tonight ahead of tomorrow morning’s shift. 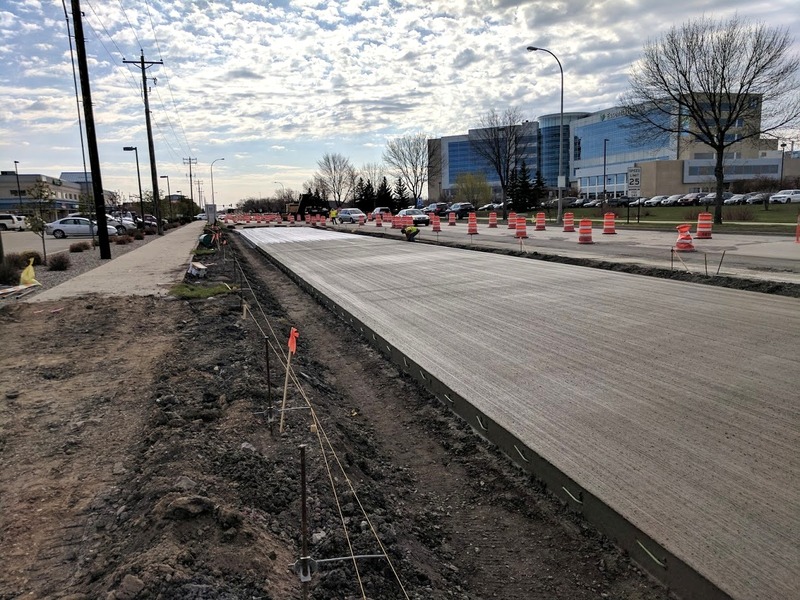 At this time, all traffic west of 39th Street S will move from the south side of 32nd Ave. to new pavement on the north side, marking the start of Phase Three of reconstruction work. There will be two lanes for westbound drivers and one for eastbound drivers, with separate right and left turning lanes in each direction. Contractors plan to maintain access to Cass County Electric via 41st Street S as long as project work allows. 36th Street S: Closed for reconstruction and widening south of 32nd Ave. to Luther Family Ford for approximately one more week, weather permitting. All business access is maintained via side streets, with 32nd Ave. eastbound drivers detoured to 33rd Street S and westbound drivers detoured to 32nd Street S, then to 35th Avenue S. Truck traffic can also exit I-29 using 52nd Avenue, and travel north on 36th St.
SW and SE I-29 Loop Ramps – Closed for improvements, all intersection access maintained via ramps on the north side of 32nd Ave.
Intersections: All open through the work zone except south side intersection of 32nd Ave. and 36th St. S.
Contractors are continuing paving efforts through portions of the work zone and remind drivers to slow down, as the speed limit on 32nd Ave. is reduced to 25 mph and 45 mph on I-29. Fargo Police are helping by monitoring speeds in the area and conducting traffic blitzes. Last week they issued 79 citations, most for speeding, in a single day.